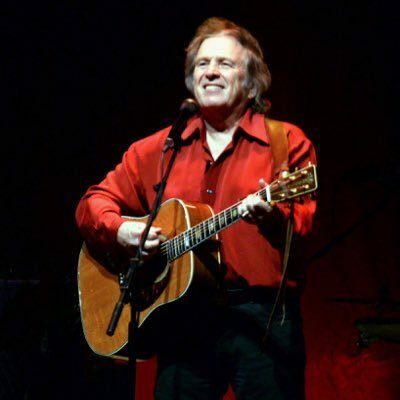 Don McLean is one of America’s most enduring singer-songwriters and forever associated with his classic hits “American Pie”, “Vincent (Starry Starry Night)”, “Castles in the Air”, “And I Love You So” and “Crying”. Since first hitting the charts in 1971, Don has amassed over 40 gold and platinum records world-wide and, in 2004, was inducted into the Songwriters’ Hall of Fame. His songs have been recorded by artists from every musical genre, most notably Madonna‘s No. 1 recording of “American Pie” in 2000 and George Michael’s version of “The Grave” in 2003, sung in protest at the Iraq War. Don McLean is co-writer of Drake’s 2011 release, “Doing it Wrong“.